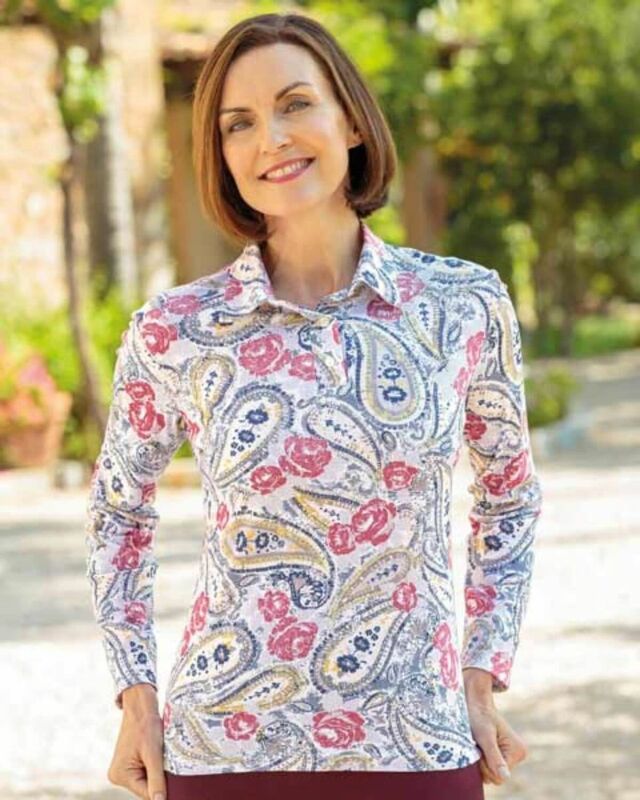 Ladies Barbara Long Sleeve Polo in an attractive paisley print. Ladies attractive paisley print polo in shades of rose, blue and buttermilk on an ecru base. Cut from luxurious Austrian cotton jersey with an elegant collar, three button placket, a straight hem and side vents for comfort. A pretty design of classic polo which is elegant yet comfortable and would be well acommpanied by many of our seperates.